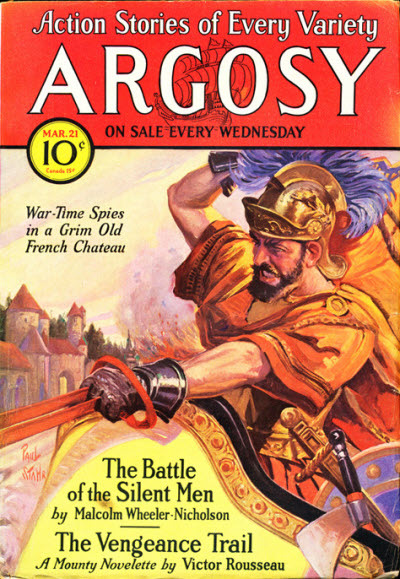 On his birthday, a few of the artist Paul Stahr's cover paintings for Argosy. High resolution photos made from multiple photos taken by me (click on the pictures to view in their full glory), the odd angles are to avoid reflections as much as possible. All paintings except the last one are from the astonishing collection of Doug Ellis, the man behind the Windy City pulp and paper convention in Chicago and covers from the FictionMags Index. 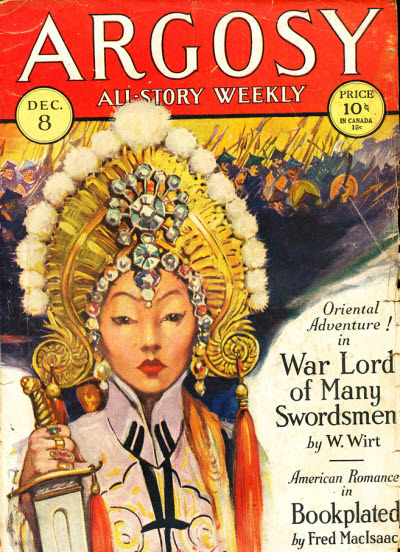 Stahr painted more than 300 covers for Argosy between 1923 and 1936. 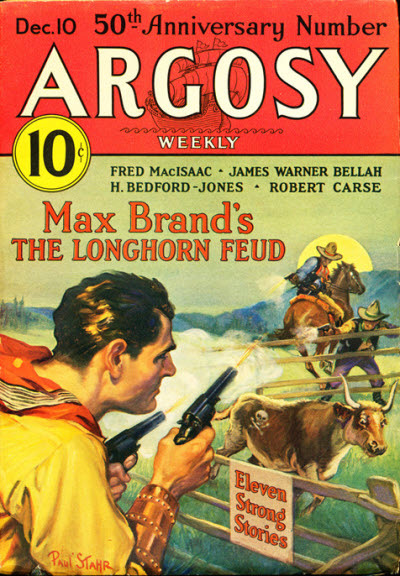 Of those, 212 were done between 1930 and 1934, when he had about 40 covers each year out of the 52 weekly issues. I don't think any other pulp artist comes close in terms of number of covers. Happy to be shown I'm wrong - leave a note in the comments. 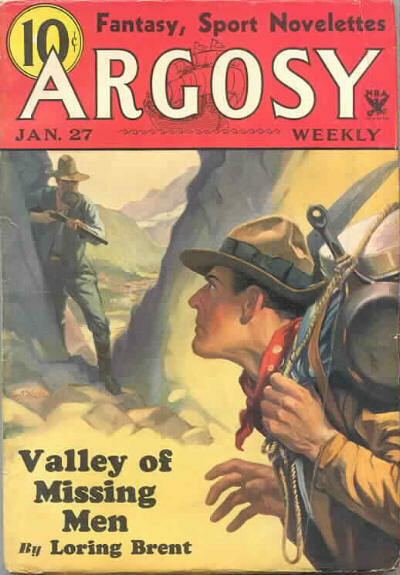 I have a Paul Stahr cover painting for ARGOSY. You may have forgotten but it's in the master bedroom. But I know of one artist who painted even more than Stahr. 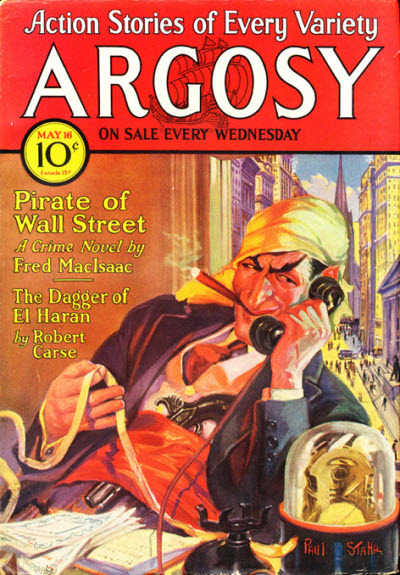 John Coughlin from 1915 to the mid-thirties, painted almost all the weekly Street and Smith DETECTIVE STORY covers. That's around 20 years plus covers for many other magazines. An amazing number of paintings.